GNL is the ideal choice for all your prefab steel construction requirements. 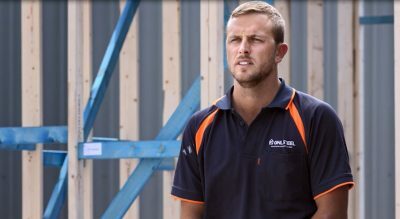 Looking for a home builder or Hebel? Take a look at the other members of the GNL Group below. With many years experience in the residential construction industry, GNL Frame & Truss offers an alternative to the market place: high strength steel frames and trusses at a cost effective and competitive price. That combined with a fast, efficient manufacture and install process, GNL is the ideal choice for all your prefab steel construction requirements. What makes GNL unique? Take a look below at our points of difference to find out what makes GNL Frame & Truss the only choice in steel frame construction. Wall and roof frames made from TRUECORE® steel are precision engineered to be dimensionally accurate. They won’t shrink, twist or warp, reducing the likelihood of problems such as cracking cornices, jamming doors, sticking windows or wavy rooflines. The ease and flexibility of working with TRUECORE® steel means we can preconstruct your design in sections off-site, then deliver and install in very short timeframes. Wall and roof framing made from TRUECORE® steel is 100 per cent termite and borer proof. Because of this, the frames don’t require additional chemical treatments to protect them from pest attack. Structural integrity in all types of environments and conditions – from Australia’s cyclone-prone north to the cold climate regions of the south; in bushland, where fire is an ever present threat, and on the coast. Backed by a 50 year BlueScope Steel warranty*, TRUECORE® steel provides homeowners with the peace of mind of knowing their most valuable asset is protected by the strength of steel. * Conditions apply. At GNL Frame & Truss we are proud of every job we have the honour to work on. Take a look below to view our most recent work and jobs in progress. “GNL Steel have been supplying our steel frames for our new home builds and granny flats for over 2 years. They have been great to work with being very reliable with very good quality workmanship on all of their frames. Want to stay up to date on the most recent GNL Frame & Truss news? Take a look at our blog for all the latest in steel construction. GNL Frame & Truss are honoured to work under GNL Group with other trusted companies and partner with the best suppliers to give our clients the best service available. With many years experience in the residential construction industry, GNL Frame & Truss offers an alternative to the market place: high strength steel frames and trusses at a cost effective and competitive price.